Ken Segall, the former Apple ad consultant who coined the iMac name, wrote the copy for the famous ‘Think different’ campaign and authored the book Insanely Simple, says that Apple is beginning to lose touch with its heritage of simplicity. He gave his assessment of Apple’s ‘state of simplicity’ in a piece for the Guardian. Though Apple’s customers remain fiercely loyal, the natives are getting restless. A growing number of people are sensing that Tim Cook’s Apple isn’t as simple as Steve’s Apple. They see complexity in expanding product lines, confusing product names, and the products themselves. Update: Ken Segall’s Insanely Simple book just landed in the iBookstore for $12.99. Full excerpt after the break. 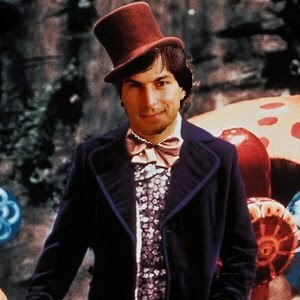 Steve’s idea was to do a Willy Wonka with it. Just as Wonka did in the movie, Steve wanted to put a golden certificate representing the millionth iMac inside the box of one iMac, and publicize that fact. Whoever opened the lucky iMac box would be refunded the purchase price and be flown to Cupertino, where he or she (and, presumably, the accompanying family) would be taken on a tour of the Apple campus. Steve had already instructed his internal creative group to design a prototype golden certificate, which he shared with us. But the killer was that Steve wanted to go all out on this. He wanted to meet the lucky winner in full Willy Wonka garb. Yes, complete with top hat and tails. The idea was apparently cancelled when Apple figured out California state law required the contest to not require a purchase for entry. Apple would have had to open the contest to all, likely squashing Jobs’ idea of handing out the prize to new iMac purchasers. There are people—yours truly included—who felt genuinely dumbfounded having read both the authorized “Steve Jobs” biography by Walter Isaacson and Adam Lashinsky’s “Inside Apple.” Do not get me wrong, Isaacson and Lashinsky are among the best contemporary wordsmiths, and their work enlightened us with some previously unknown details about the inner-workings of Apple and the man who cofounded it. Nonetheless, the authors dedicated way too many pages to the stuff we already knew, and their writing style may not appeal to the Technorati accustomed to fast-paced news reporting and sensationalist headlines. Hoping to fill this gap and tell the untold story about Apple of California from a different angle, writer Ken Segall committed to a project tentatively named “Insanely Simple – The Obsession That Drives Apple’s Success” (via Daring Fireball).